"The Flint Hills of Kansas remain true to their unique and nationally important story as a well preserved and sustainable Tallgrass prairie living landscape." "The residents of the Flint Hills work collectively to balance preservation, conservation, education, recreation, economic development and interpretation for the betterment of the lifestyle and natural resources of the region. This is done through the development and implementation of plans and coordinated activities that capture the grassroots efforts of stakeholders who support the vision for the future of the Flint Hills." Help Flint Hills residents recognize the treasure in their back yards. Promote conservation and appreciation for the Flint Hills. 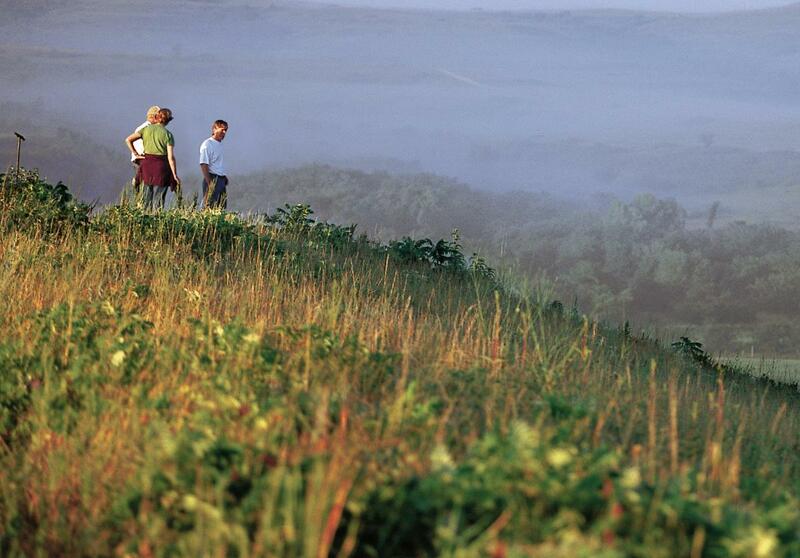 Promote economic growth and tourism in the Flint Hills. Please enjoy your stay and share your experiences of the Flint Hills on our Facebook page. How do I get my business or event listed? Listings on this site are free, but are handled through a travel and tourism expert by county. Take a look at the Communities page, and get in touch with the expert for your area. Are you passionate about the Flint Hills? Here&apos;s how you can help! Donate to the Friends of the Flint Hills fund. This is a tax-deductable donation! Donations are handled by The Kansas Rural Communities Foundation. You can contribute online here. Please make sure to select "Friends of the Flint Hills Fund" from the list of available funds.